Salthouse & Peppermongers had the pleasure of popping into 181 Delicatessen recently for a visit. This vibrant little Deli is like no other we’ve visited. Upon entering we were greeted with warm smiles by proprietors, Mike & Charlotte Billinghurst, in a light-filled space, where dark-wooden timber floors combine with shelves and panelling in shades of lemon, white and slate grey, to create a strong backdrop for 181 Deli products. Artwork lines the walls, adding interest and a sense of community. Carefully sourced items, such as the beautifully old-fashioned tables and chairs, provide quirky elements and a relaxed feel. The open kitchen of the deli adds further activity to the scene, as staff produces tasty snacks fresh soups, homemade cakes and sandwiches throughout the day. In 2014 husband and wife team, Mike & Charlotte Billinghurst took the plunge and opened the deli, running regular customer events in-house, many of which can be found on their Facebook page @181Delicetssen, and offering everything from morning coffee, cakes, hot and cold lunches, and delicious deli platters in the evening – while also still functioning as a deli counter and general store. The 181 Deli showcases a wide range of food products, whether it’s locally sourced baked goods, or fresh fish from their partner fishmongers, just a few doors down the road. Customers travel far and wide to visit because of its warm atmosphere and friendly service and hospitality. Charlotte told us, “We only have four bookable tables in-house, but we make sure that these can be reserved by our customers who enjoy visiting us for a coffee on a regular basis”. 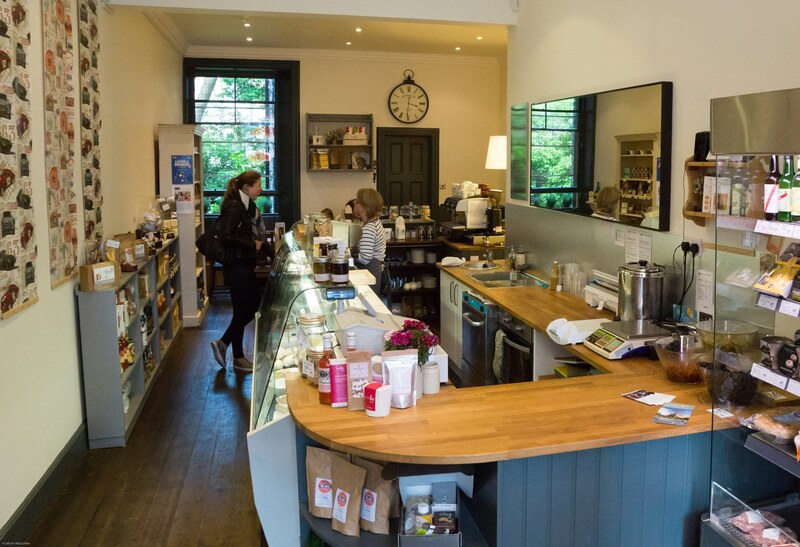 Since the Deli opened its doors to the public in 2014, the response was so positive that they have diversified their product range in-house to include products from over 70 unique suppliers. Four years on and the food catering side of the business has grown significantly, although admittedly said Charlotte, “it’s not something we often promote”. “On occasion, however, we do cater for smaller Weddings and have been known to cater for larger events too”, says Charlotte. “Our customers always challenge us to produce and find the best of local produce on the market”. The Deli stocks a huge range of kitchen wares, sauces, spices, basically anything you can think of really. It is evident that Mike and Charlotte are very passionate about what they do. They each have a long history in the food industry, each having started in cafes or restaurants, somewhere along the way. I wanted to see what some of the Deli’s customers had to say. I wasn’t surprised by the reactions either. One customer tells me, “The deli feels like a home away from home, I enjoy coming here and often come alone.” Another explained that “it’s like a hidden gem, off the beaten track”. In-store, you will find a range of products from bestselling brands like The Smoky Brae, Atkins & Potts, The Garlic Farm, and, bien sur, Salthouse & Peppermongers. Charlotte explains, “Salthouse & Peppermongers have recommended several product ranges which we are now proud to stock in-house and which have been extremely popular winter sellers”. You can check out their Salthouse & Peppermongers unique gifting range in store.